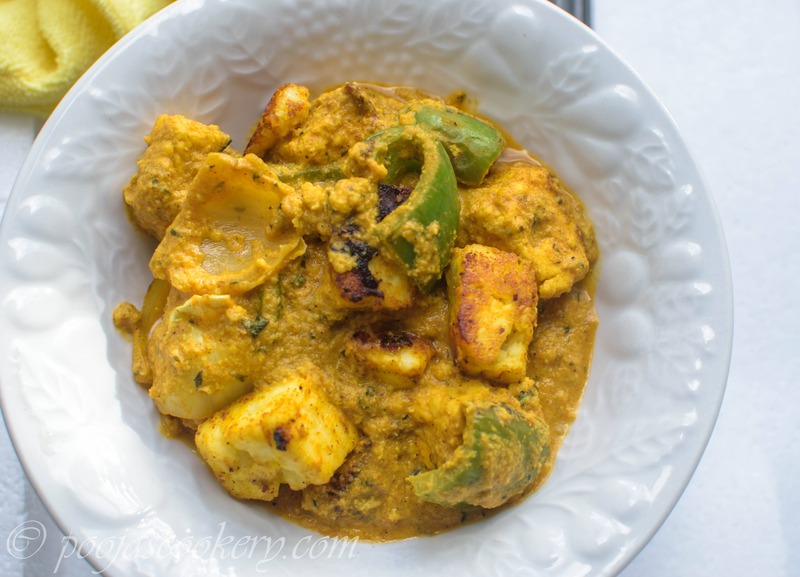 Paneer is our favorite whenever we cook vegetarian food. But I always prefer to make my cheese at home. Tried out from Indian grocery stores but somehow I don’t like the store bought ones. They are harder as compared to one I prepare at home. And homemade one gives a unique authentic taste to your gravy. 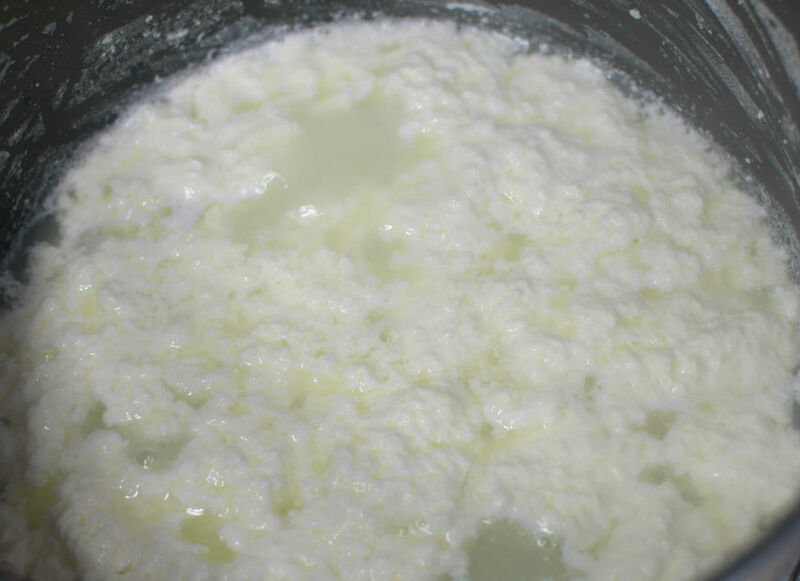 Is Cottage Cheese same as Paneer? 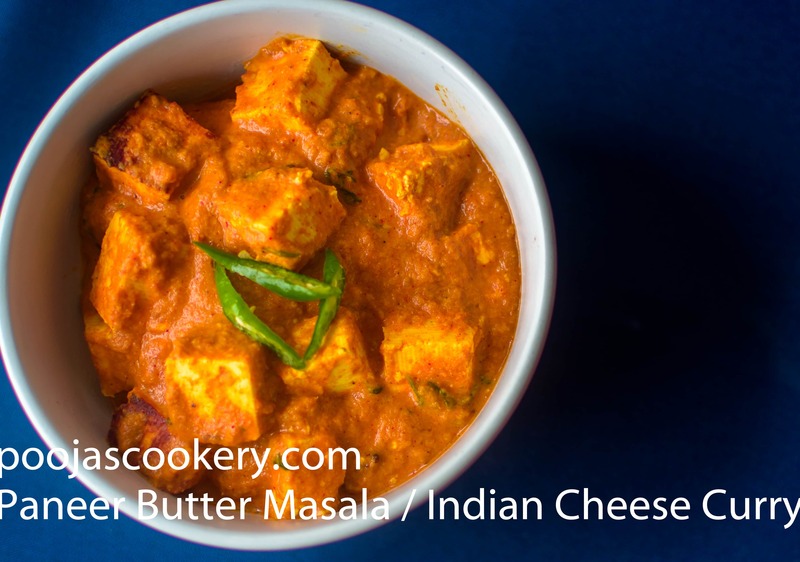 Although you can use cottage cheese to most of your Indian recipes but for specific recipes like paneer tikka masala or butter paneer where you need to add the paneer cubes instead of soft crumbly cottage cheese. 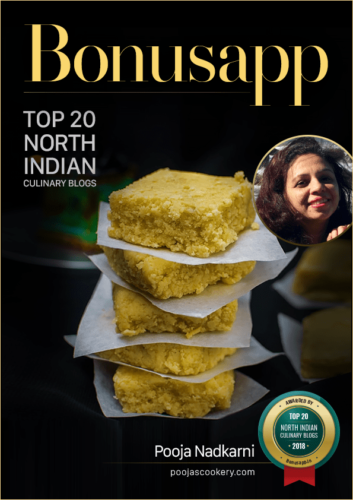 Of course you can tie up the cottage cheese in soft muslin cloth for about an hour to give it paneer texture and use in cooking different Indian dishes. 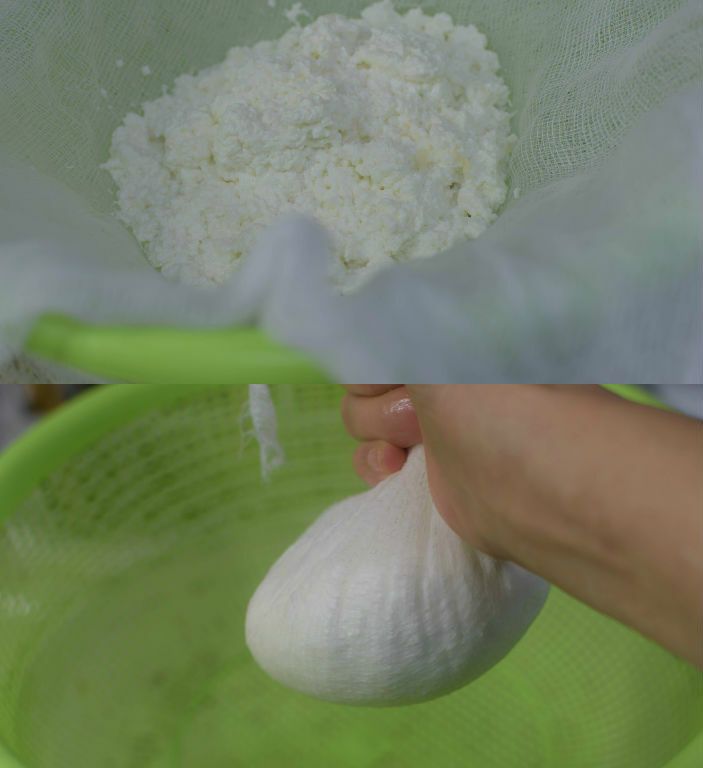 Process to make paneer is very simple and very quick. Requires just 2 ingredients.So let’s see How to make it at home. 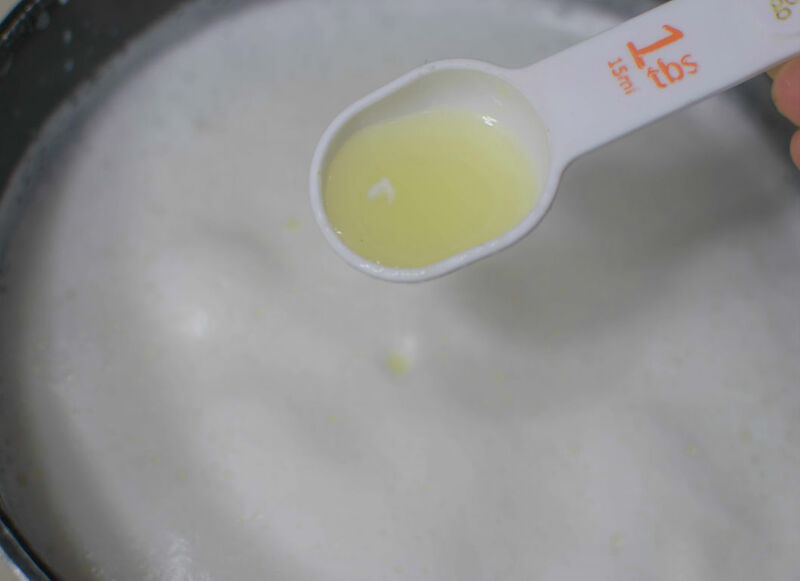 Boil milk on high heat. Once it comes to rolling boil, reduce the heat and add lime juice. Let it cook on low heat . Keep stirring in between. The milk will start curdling. Once the greenish whey is seperated from the milk, that means it is time to remove from the heat. Line up a colander or a strainer with cheese cloth(muslin cloth) or you can use any thin cotton cloth. Pour in the curdled milk. Wait for it to cool down so that you can tie up the cloth. Once it is cooled down, gather the edges of muslin cloth together and tie a knot. Press it hard so that the excess whey gets drained. Press it lightly to give a nice disc shape. Keep it back on colander. Keep some weight on top. 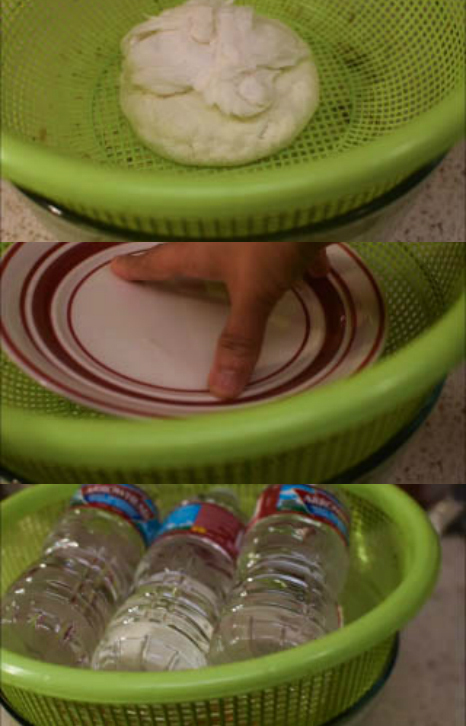 I have kept a plate on top with some water bottles. Leave it that way till all the whey is drained and paneer is nicely set to cut into cubes. For me it took about 30 minutes to set the paneer . Open the cloth and cut the block into small cubes. Use it in different Paneer recipes. 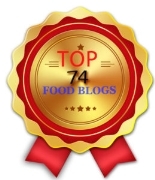 You can check some of my tried and tested recipes given at the end of the post. Once it is cooled down, gather the edges of muslin cloth together and tie a knot. Press it hard so that the excess whey gets drained. Keep some weight on top. I have kept a plate on top and some water bottles. Leave it that way till all the whey is drained and paneer is nicely set to cut into cubes. For me it took about 30 minutes to set the paneer . Open the cloth and cut the block into small cubes. Use it in different Paneer recipes. 1. 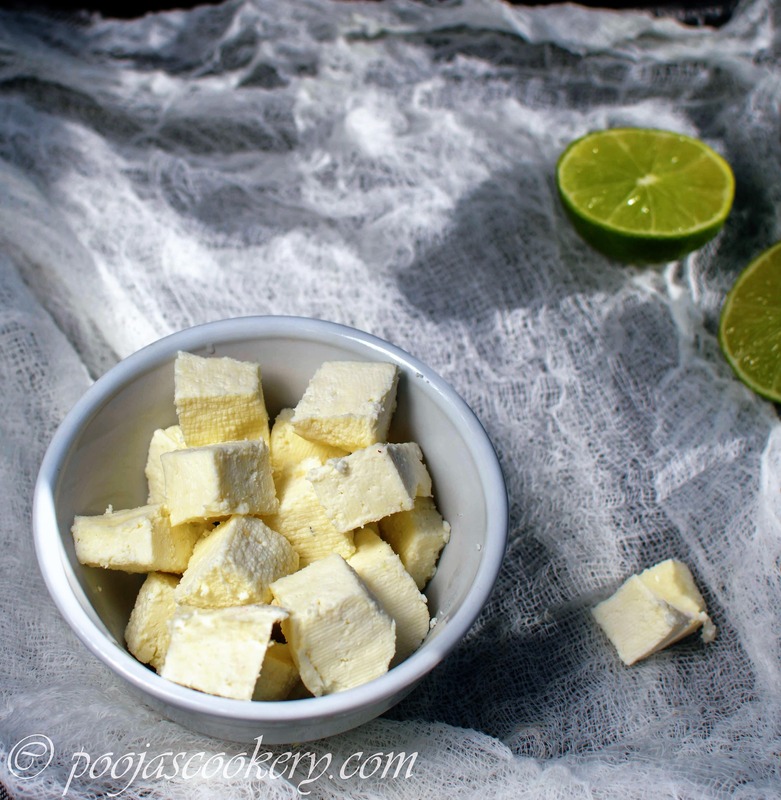 If you make paneer in advance for any recipe, immerse the cubes in a bowl of water and refrigerate. 2. Should be consumed within 3-4 days after refrigeration or within a month if freezed. 3. 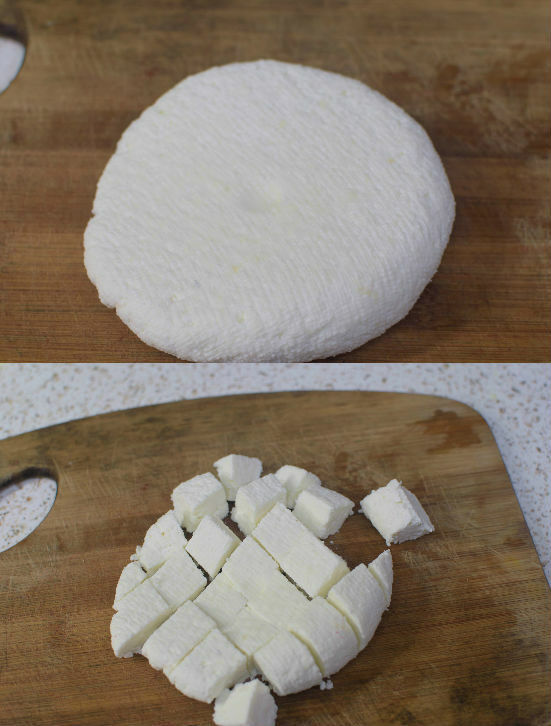 If planning to make in large quantity, place the block of paneer in a plastic zip lock bag and freeze. Cut the required amount from the block and use once it comes to room temperature. 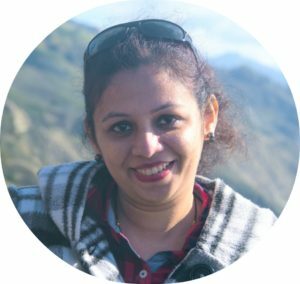 Lovely photos n nice explanation , Pooja.